Modernize is here for you if window replacement is in your future and you are wanting to find replacement windows in Arlington, TX. Speaking with local window professionals will help you find the best solution for your individual home renovation needs. We love helping homeowners find the best contractors in their area. Find the most reliable window installation contractors in your area today! Get free quotes from the best window replacement contractors in Arlington, TX, ready to complete your project. When the windows in your Arlington, Texas home need to be replaced, they will begin to show a few telltale signs they are no longer performing as they should. If you are noticing decay or rot of your window frames, moisture between panes, or if you are having difficulty opening your windows, these are all clues that it is time to invest in replacement windows. Installing new windows is not a cheap expenditure. When you plan to make such a large investment, research your options to make sure you have found the right windows for your home. In addition to sifting through the many operational styles available, there are also hundreds of design options to choose from. Your location in Arlington should also influence your decision since the climate and city regulations will influence the type of windows you purchase. This guide will provide the basic information you need to understand before buying windows, including finding the right windows for the climate in Arlington, following Arlington’s permit and licensing requirements, and finding creative ways to cover your window replacement costs. The first decisions you need to make concerning your window replacement purchases are universal to all homeowners, no matter where you are located in the United States. Windows are available as new construction or replacement windows and you will need to determine which will work best in your home. New construction windows can only be installed by securing them directly to exposed studs or frames, so they are appropriate for new building and major renovation projects. In comparison, replacement windows can be custom designed to fit exactly in the space left behind by old windows without the need for making changes to the surrounding wall. Once you have chosen between new construction or replacement windows, you can begin to sort through the numerous operational styles that are available to choose from. Some of the most popular windows for residential homes include double hung windows, casement windows, and sliding windows. Double hung windows are constructed from two vertically hung sashes that each slide to open. Sliding windows are constructed from two sashes that are hung side-by-side and slide left or right to open. Casement windows are single sash windows with a hinge along one side that open outwards from a single side. In general, all operational styles can be found with a vinyl, wood, aluminum, or fiberglass frame that can be further customized with various color and finish options. There are all multiple hardware options and glass grid designs available that make it possible to custom design a window that fits perfectly with the decor of your home. Each city in the United States is entitled to create a unique set of regulations for minor and major home improvements as well as commercial building construction. If you plan to install new windows in your home in Arlington, you will want to become familiar with the permit and licensing requirements in place before beginning your home improvement project. In Arlington, whether you plan to install your windows yourself or hire a contractor, the city considers window replacement a major improvement and requires the purchase of a permit before getting started. The guidelines for applying for a permit can be located on the website of the Community Development & Planning Department. All contractors making major improvements to Arlington homes are required by the city to carry a current general builder’s license obtained through the state at the Department of House & Community Affairs. Any contractors you hire to work on your home who have employees should also carry workers’ compensation insurance that fully protects you from liability or expenses if someone is injured while installing windows in your home. Before making a purchase, it is helpful to begin by drafting a loose budget for your window replacement project. Since the cost of windows is different depending on the brand chosen, the materials used, and the shape and size of the windows, it is difficult to budget an exact dollar amount for the project. Still, rough estimates are helpful as you begin to find ways to finance your project. In general, you can expect to spend between $450 and $600 for each vinyl replacement window you buy and between $800 and $1000 for each wood replacement window you buy. You can also expect the cost of installing your windows will fall somewhere between $50 and $100 for each window. The expiration of energy efficiency federal tax credits in 2014 has made it necessary for homeowners to find creative ways to fund their window replacement projects. At this time, Arlington is offering home rehabilitation assistance, including window replacements, to low income households living in homes that don’t meet local building codes. However, homeowners who don’t fit this criteria will need to rely on their savings or apply for a zero interest credit card or a home equity line of credit to fund the window purchases. 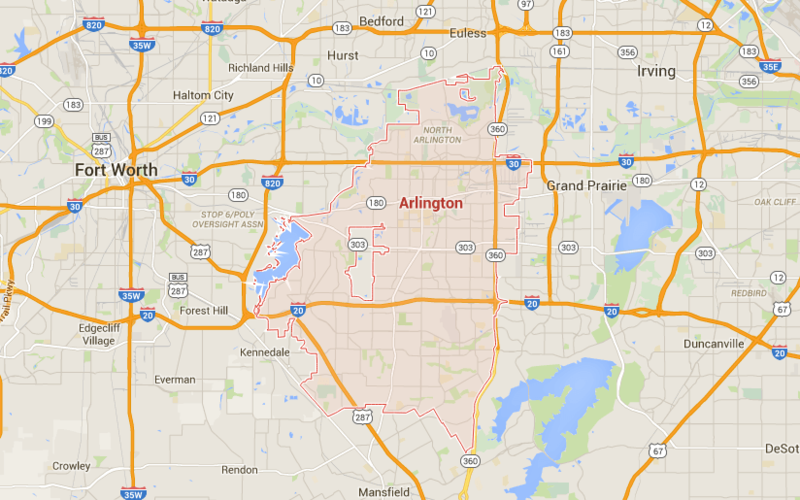 Arlington is located in the South-Central climate zone as outlined by ENERGY STAR® guidelines. Homes in this region use both heating and cooling, since the summers are hot and humid and the winters are cold, but mild. Since year-round use of a heating and cooling system is a large household expense, it is important find energy efficient windows for you home that will reduce some of that expense. Finding the right windows for your climate is as simple as understanding the ratings found on the National Fenestration Ratings Council label that is placed on all new windows. Residents of the South-Central climate zone should be primarily concerned with the U-Factor and Solar Heat Gain Coefficient ratings when making their window purchase. The first number on the label is the U-Factor rating. This rating represents how much heat is able to enter or leave a home through a specific window. No matter the season, heat passing through a window can increase heating and cooling costs. Because of this, it is best to select a low U-Factor rating and ENERGY STAR® requires all new windows purchased in Arlington to have a U-Factor rating of no more than 0.30. The second number on the NFRC label is the Solar Heat Gain Coefficient, and represents how much solar radiation can enter your home through a window. While a cold climate would benefit from obtaining free heat from the sun, a warm and humid region like Arlington’s is better suited for windows with a low Solar Heat Gain Coefficient. In Arlington, ENERGY STAR® requires all new windows purchased to have a rating of no more than 0.25. The last thing to consider before purchasing replacement windows for your home is how well they will perform in a climate with high humidity. Some windows are more resistant to moisture than others, and this is represented by the condensation resistance rating that your windows salesman can provide upon your request. Condensation resistance is rated from 0 to 100, with 100 being the most resistant to excess moisture in the air. Replacing the windows in your home may be a big undertaking, but it is a choice you only make a couple of times during your life. Because of this, it is important to carefully research your options before making your purchase to be sure you have found the most energy efficient and long lasting windows for your home and budget. When you install ENERGY STAR® compliant windows in your Arlington home, you can expect to save as much as $266 on your yearly utility costs and you will get a 70% return-on-investment if you decide to sell your home.